Edwardo Dominguez, a fisherman from San Andres Village is missing after the vessel he and a companion was travelling in capsized at sea. The accident happened shortly around 10AM on Sunday July 14th as the two fishermen were heading to an area near Bacalar Chico Marine Reserve located on northern Ambergris Caye. According to Lieutenant Gregory Soberanis, Belize National Coast Guard Operation Officer, after the incident was reported on Sunday they immediately launched a search and rescue operation. “We got a report from the Police at Sarteneja village of a capsized vessel east of village. One Ryan Barahona reported to police that he, along with one Edwardo Dominguez, were on a white 23-foot sail boat named Elena, heading to Bacalar Chico when they capsized,” explained Soberanis. He said that Barahona reported that he managed to swim to shore safely, but unfortunately Dominguez remains unaccounted for. “The Belize National Coast Guard, assisted by local fishermen in the area, is currently conducting search efforts in the entire area to locate Dominguez. Barahona is attributing the accident to bad weather. As you know, on Sunday there was a tropical wave that moved over the country so the weather was not suitable for small craft,” said Soberanis. It has been over 24 hours since the accident, and so far the search and rescue teams have only located the capsized vessel. 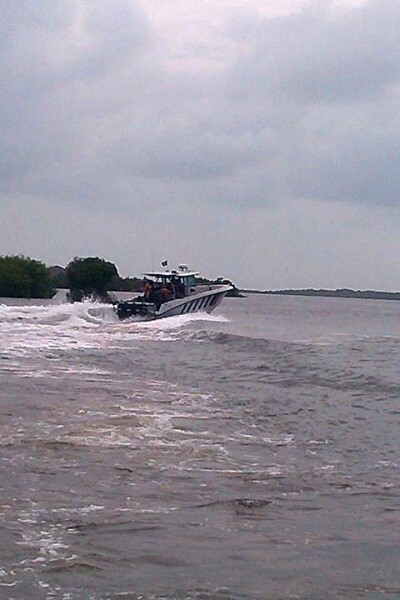 “The vessel has been found and the search continues for the missing person. We are considering several elements during the search and rescue; we are looking at the tide and current flow pattern since yesterday. We plotted the last known position and coordinate and based on the flow of the currents and tide patterns, and taking into consideration the changes, we proceed with the search. If he is in the water, it will give us an indication as to the direction in which it is believed that he is drifting. It also helps us to better concentrate our efforts in specific areas. We want to believe that Dominguez is still alive and that is why we are actively conducting the search efforts. We don’t want to lose hope at this time,” said Soberanis. 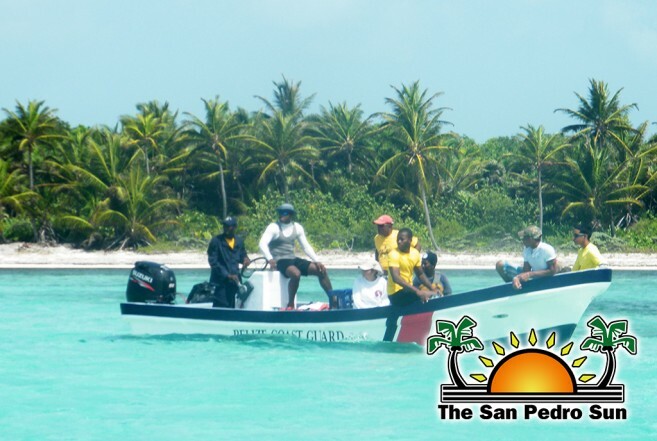 Family members and fishermen in village as well as from San Pedro Town have joined the search teams, but so far, efforts have been unsuccessful. In a more fortunate incident, on Monday July 15th, the Belize Coast Guard working along with Mexican counterparts rescued eight people who were drifting at sea off the Mexican coast. Soberanis explained that the distress called was placed to the Belize Coast Guard who plotted the coordinates in Mexican waters, 11 miles east of Xcalak, Mexico. Mexican counterparts were alerted and they dispatched a Navy vessel and they eventually found the vessel rapidly drifting. They were successfully rescued in an area north of Xcalak and were taken to safe harbour in Mexico.